Is the bull getting tired? It's just the second trading day of December and investors already look wary of letting the rampage run to the end of the year. 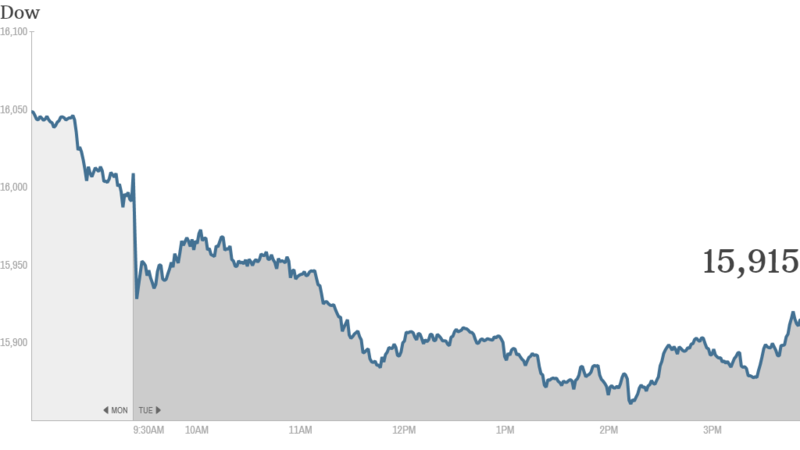 The Dow and S&P 500 were lower for a third day Tuesday, while the Nasdaq slipped for a second straight day. The S&P has managed gains in December for 24 of the past 30 years, but with the index up 26% so far in 2013, investors are ready to take a break. "It's likely that markets will be in a holding pattern as we head into the business end of the week that starts with ADP employment tomorrow, the ECB on Thursday and ending with payrolls on Friday," wrote Deutsche Bank analyst Jim Reid, in a market report. Investors will probably stay cautious as they await the November jobs report, holding out hope that closely watched report will send a much clearer signal about the Fed's next move. Major automakers were in the spotlight Tuesday, as they released monthly sales figures. Sales jumped 14% in November at General Motors (GM), while Ford (F) reported a 7.1% increase. Toyota (TM) delivered a 10% rise and sales at Chrysler, which is set to go public early next year, grew 16%. Despite the positive sales, auto stocks were trading lower. "All the numbers for $F are good except freakin' stock price," said StockTwits user CurmudgeonBoy. "Bah!" But other traders noted that it's been a pretty good year for auto stocks so far. "Seeing a lot of investors and traders frustrated with $F," said scheplick. "It's had a great run this year. Plus a decent dividend along the way." While the major auto makers suffered, Tesla (TSLA) shares surged after the German Federal Motor Transport Authority concluded its investigation into the three recent battery fires in Model S vehicles and found "no manufacturer-related defects." Last month, Tesla CEO Elon Musk said there was no reason the company would need to recall any vehicles due to the fires. That made most StockTwits traders optimistic that Tesla shares were finally recovering from a two-month lull. "$TSLA on the road to previous highs?" wondered Northbound_Trader, adding that he was bullish. "$TSLA BUY THIS STOCK AND DON"T LOOK BACK!" said hvalentino. But others were more cautious. StockTwits user soopy9 said "$TSLA looks like it's setting up for quite the hangover." 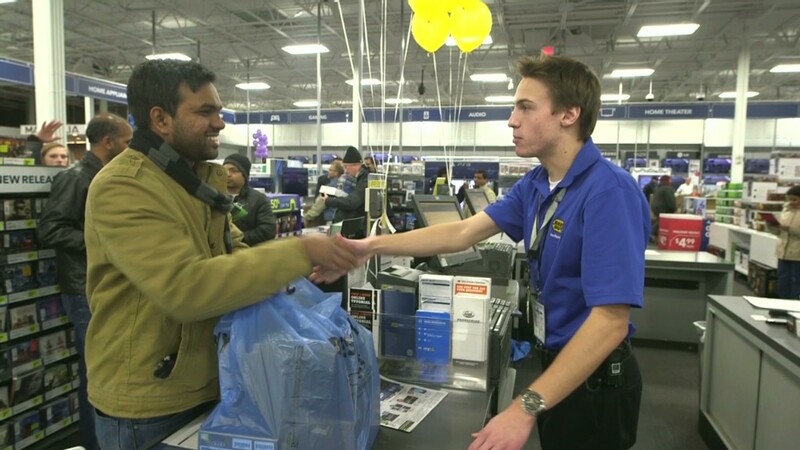 Retail was also back in focus Tuesday. While disappointing Black Friday sales weighed on retailers and the broader market Monday, strong Cyber Monday sales were encouraging. Sales jumped more than 20% on Cyber Monday, making it the biggest online shopping day in history, according to an analysis released by IBM. Also in the retail world, teen-focused Abercrombie & Fitch (ANF) was sharply higher after activist firm Engaged Capital sent a letter to the company's board saying that it needs to start searching for a successor to CEO Michael Jefferies, whose contract is due to expire February 1. But traders were skeptical about the strength behind the day's gains, as the company has been struggling to attract customers, and the stock has been suffering. "$ANF How much gains do you think you are going to give up by the end of the day?" quipped fgamarni. "Half ?" And finally, Sony (SNE) said that it sold 2.1 million Playstation 4s worldwide as of Dec. 1.